Why Donnie Yen always pick highway as a location for his last battle in action movie ? "Kung Fu is an art of killing" uttered by the villain. He occasionally wash his face with salt so that face could sustains more painful punches. This movie has not much computer generated images in it. So, embrace yourself with some brutal action scenes. Donnie Yen broke his own record in the prison by inviting 16 prison mates fighting him alone in a bare hand fight, his previous record was just 10 men. The villain has been labeled as dangerous subject by police force as he is able to do powerful force with bare hands. In an attempt to pursue this villain, Hong Kong polices seem to be clueless and powerless in this individual. Guns were not able to overwhelmed this dangerous villain. This villain has a sole motive killing martial art practitioners. He wanted to be no 1 in Kung Fu universe. Donnie Yen is one of the Kung Fu practitioner with a thought to rise it Kung Fu club reputation to a higher level, He chose the path to defeat another Kung Fu practitioner in Kung Fu universe. But, he killed a person in a legal fight. Although it was a legal fight, he surrendered himself by walking in to police station confessing and he was stained with blood. The villain was wreaking havoc while Donnie Yen was in the prison. In a bid to escape the prison and restore his freedom, Donnie Yen promised to help Hong Kong policemen pursuing this highly dangerous subject. The felame Police officer is desperate in nailing down this subject due to pressure from the top management. In an early days, the villain met with Donnie Yen in prison cell apparently made a deal to help Donnie Yen escaping the prison in a bid to get a chance to fight with Donnie Yen in his lifetime. The main villain made to the news headline and terrified Hong Kong public tremendously as Hong Kong officer failed to catch him. The villain killed numerous high-ranking Kung Fu practitioner. 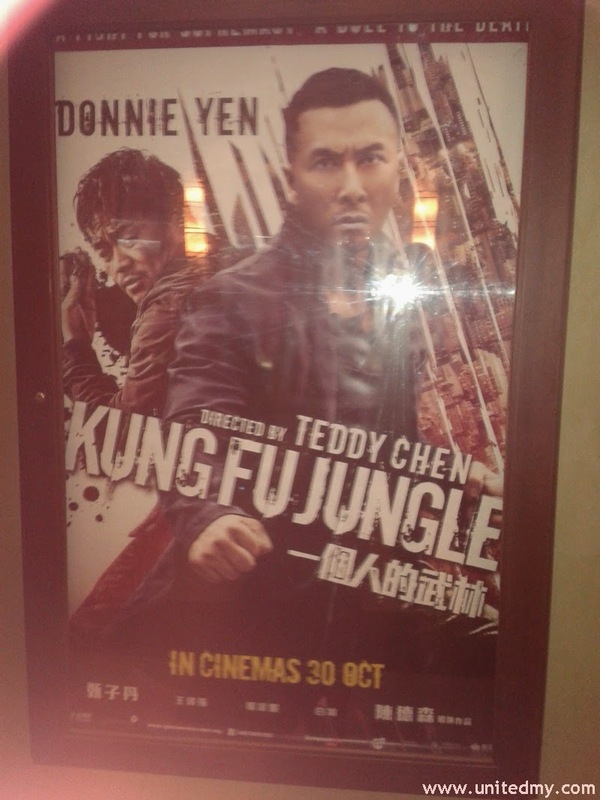 Freeing Donnie Yen to be like freeing a caging tiger with a sharp tooth to a forest. The movie get a little bit intense when Donnie Yen is labeled as villain's accomplice. In a fight to clear his name and to avenge his lover as the villain killed Donnie Yen lover to make him stronger. Well, Donnie Yen become so powerful overwhelmed the villain in a "highway fight"
They seem to be filming the movie in a close distance and believed to be adopting Hong Kong TV series filming style. I though Donnie Yen admitted he was not practicing Kung Fu for long time how could he still defeat the villain ? ?